Weishan Weilong Wood Product Co., Ltd.
is professional supplier of Wood and Bamboo products with 10 years of export experiences. Our massive productivity is enough to satisfy your large order in short time. We are honest supplier and believe that the customer is our God. 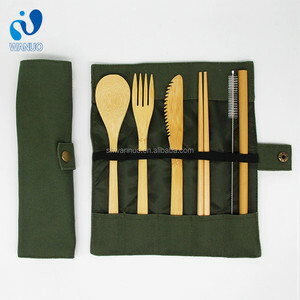 Yi Zhu Fang (Yiyang) Bamboo Technology Co., Ltd.
Shanghai Wanuo Industrial Co., Ltd. Most Popular wooden crafts factory 3. 100% Payment protection 3 . wood making experience more than 15 years experience 4. Fumigation certification is available 4 . Company Introduction Package&Delivery Our own designers can freely offer design on both packaging box and products. Shenzhen Ecoy Enviromental Technology Co., Ltd.
Dalian Huifeng Chopsticks Co., Ltd.
4.More designs and specifications are available according to customers' requirements. : 1. How can I get some samples9 We are honored to offer you samples. New clients are expected to pay for the courier cost, the sample are free for you. Yiyang Xinchang Bamboo And Wood Products Co., Ltd. Factory Photo Our Team Certificates Question1: What is the material of the products9 Ansewer: Natural bamboo. If you have interest in it, please do not hesitate to send us any of your inquiries and we will always give you satisfactory services. We believe that you can rely on us as we provide you quite excellent service and products with best quality and best price in the world. Hangzhou Tic Tac Packaging Products Co., Ltd.
Zhangjiagang Allwin Industrial Co., Ltd.
2018 HOT Sell Bamboo cutlery The product description of bamboo cutlery Item No. 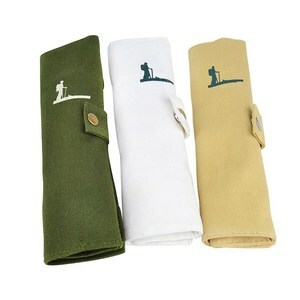 Sample Free samples are avalialbe if we have sample in stock,but courier fee need be collected. If we need sample charge for new item, this cost may refund you after PO Free sample! Dongguan Vivbio Houseware Co., Ltd.
Bamboo Cutlery has been an importent product in the Flatware Sets market over the past year, and it was very popular in United States,Australia,Wales,India and Canada; As shown in the distribution chart, market shares of these countries are folowing: [ US:14.85%, AU:11.63%, GB:11.39%, IN:8.66%, CA:5.69%, other:47.77%]. What's the trends of Bamboo Cutlery product's market in 2018 (Dec 2016 to Jan 2019)?we have studied one years data on online sales, global shipping, search, sourcing and requirements of following products Bamboo Kitchenware.